You've probably seen the CRO case studies that have touted insane conversion lifts from simply changing the text on a button or the background color of a product page. This is not a blog post about that sort of test. I don't doubt that the subconscious makes associations with colors and button text, and if your site has the traffic to play with these ideas, give it a go. But there's a less subtle aspect of CRO that's much easier to control and predict. Consistency of the "scent" is enormously important. If your paid advertisement, referring external page, or organic SERP headline promises something that the landing page doesn't provide, well, that's a recipe for a quick bounce. That's why it's helps to try and control the events that lead to an entrance so that entrants aren't surprised by the content of your pages. Why is this important? Well, if you're wondering why 98% of visitors aren't converting, isn't it possible that a subset of them have landed on the right site but the wrong page? query: "Cleveland Indians Sweatshirt". PPC Ad click. This particular site has a page that matches my query exactly...It's just 2 clicks from the landing page. Or the right page with the wrong (product) imagery above the fold?. 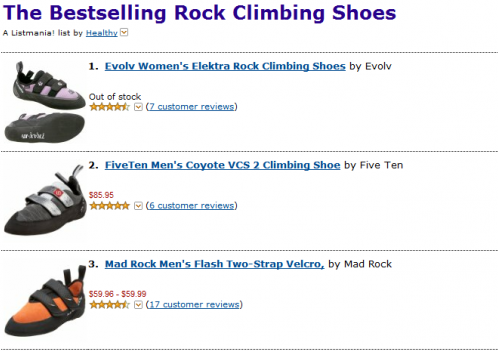 query: "Men's Evolv Rock Climbing Shoes". 1st Organic Result. Bravo to Amazon for ranking first for this query with a user's list, but the products shown are pretty poor matches for my query. Or the right page with a misdirected headline? query: "Men's SeaVees boots". PPC Ad Click. 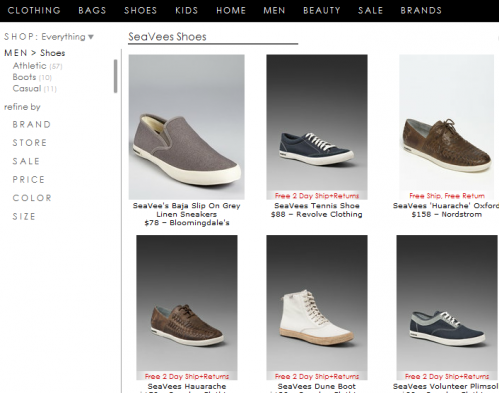 Though there are boots on this page (not pictured), the headline reads 'SeaVees Shoes'. Finding CRO scent problems is fairly simple on an individual basis through landing page and bounce rate reporting. This is a bit of a no brainer, but I'll try to take it a step further. Sorting our landing page report by bounce rate is a great place to start, but we'll definitely have a bit of noise to deal with. Google Analytics offers the weighted sort which will help see through the muck. We could also limit our report to pages with more than X number of pageviews. One of my favorite, favorite, favorite reports in Google Analytics is a slight variation on what we've just built. By adjusting the view to comparison view, we can see pages' bounce rates as compared to the site average. See those ones in red? This is a great place to start optimizing. Keeping close tabs on all of your landing pages can be difficult, especially for large sites. Each business will be different, but prioritization assistance can come from a number of sources. Severity of the Problem - A massive bounce rate compared to site average should be enough incentive to fix the issue. Cost associated - If you're wasting a large enough of money with one of your paid campaigns, someone'll notice soon! Opportunity - Maybe your bounce rate isn't so bad, but a ton of seemingly qualified traffic isn't converting. Affiliates - Are your affiliates staying within the terms of their affiliate agreement? Are they using outdated media with promised incentives that no longer apply? Comparison Shopping - The price and imagery on your product page better match what the user saw exactly on the shopping engine site. Once again, bounce rate tells the story of a lost scent. 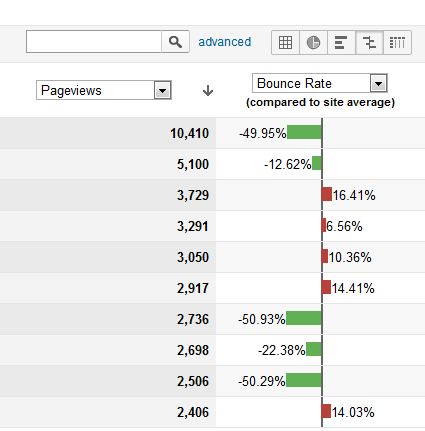 Building the bounce reports I covered above but in the AdWords reports should be pretty informative. Even more helpful is the fact that we can compare bounce rate AND a metric that includes cost like cost per conversion, ROI, or margin. If you're not keen on flipping back and forth between the "Site Usage" and "Clicks" reports, a simple custom report in GA can be built to get them displayed together. 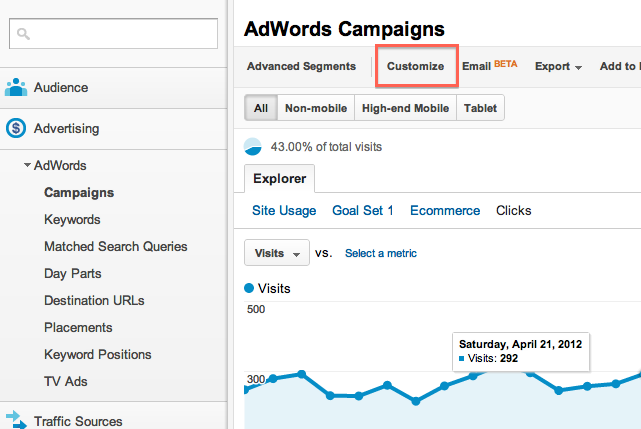 Just navigate to your AdWords reports in GA, and click customize. Construct your own little super group. If you stumble upon some poor performers, you should consider segmenting them out into separate ad groups, and better targeting ad headlines and destination URLs. Landing page optimization gets a bit difficult with organic search traffic. When we've identified a broken scent path we can either adjust the page to better match user intent, or build a better targeted page. With the former, we risk losing our rankings if we change the page drastically enough. With the latter, we could be looking at a long, uphill battle at getting a new page to rank. For an example, let's suppose our site gets a lot of traffic to our drum set equipment page for the "beginner drum set equipment" query. Bounce rate is terribly high for users coming in on that query, which we hypothesize is due to the user being overwhelmed by options upon entry. The beginner is easily shaken! This might be a little intense for our beginner. 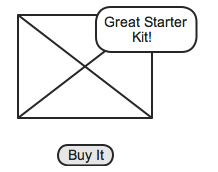 If we decide to adjust our page to cater to the beginner's needs, we could include a "Getting Started" section on the page, or highlight some starter kits for novices. Include a beginner section above the fold. 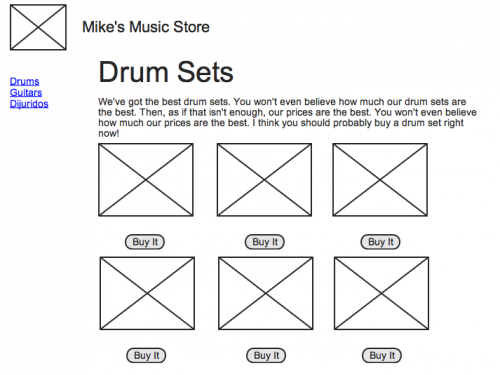 Alternatively, we could build a "beginner drum set equipment" page, and link to it from our original page using the exact query as anchor text. This should send a strong signal to the search engines that this deeper page is a better match for the query, and with any luck (and maybe some link building) your new page gets served within a few weeks. Some revised copy with a link to our beginner's page. I'd love to know if you've done any CRO on landing pages where you believe the user's scent was lost. What did you do to correct it?